Are you living in Richmond and have been looking for the best and house cleaners? GSR House Cleaning Services Richmond is your reliable home cleaning provider and has the expertise in maintaining homes and apartments clean and germ-free. With many years of experience in providing excellent cleaning service, GSR is one of the most trusted professional cleaners in bayside areas. 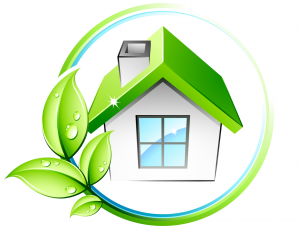 Why Choose GSR House Cleaning Services Richmond? It is important to pay close attention to your home’s cleanliness as it can affect you and your family’s health. However, living in the busy lifestyle of Richmond diverts your focus on more important things and disables you to keep your homes as tidy as possible. With GSR House Cleaning Services, our team will keep you on top of things. We will clean and make sure your homes, apartments and flats are in tip-toe shape! Our team of professional cleaners can work with you flexibly. We can work with your preferred time and can even work without supervision. Our dedication to serve our fellow Melbourne locals equips us with the right knowledge in quality cleaning using the most advanced tools and eco-friendly cleaning solutions to safeguard you and our cleaners’ safety. With GSR, you are in good hands!